3 SKUs, early September release. 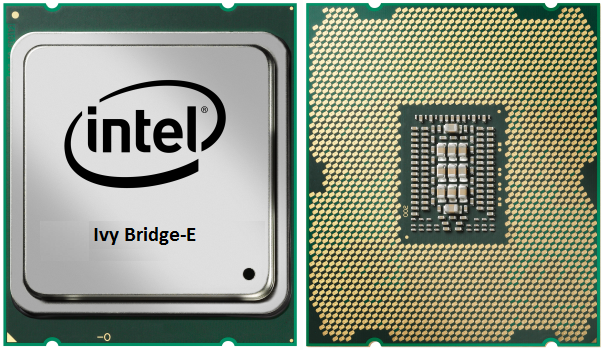 That is what the rumor mill has to say about Intel’s upcoming high-performance desktop parts code named Ivy Bridge-E.
A supposedly leaked slide puts the launch of three processor parts in the range of 4-11 of September. There’s three parts that are to be released on that date. The top dog is i7-4960X, a six core (12 thread) part with a clock speed of 3.6 GHz and turbo up to 4 GHz. The runner up is i7-4930K. This one should also have six cores (12 threads) but with a slightly lower clock speed of 3.4 GHz and turbo up to 3.9 GHz. The final part that is expected is called i7-4820K and should come to the party with four cores (8 threads) with a base clock of 3.7GHz and turbo up to 3.9GHz. These parts will feature 15, 12, and 10MB of cache respectively, and support for quad-channel DDR3 memory up to 1866MHz. The i7-4960X is expected to sell in the $999-1$,099 price range, as is the tradition at Intel for the top performance desktop processor. The wildcard here is the presence of a quad core part, which could end up priced closer to Haswell SKUs, but still be paired with the high-performance X79 platform, socket 2011 and quad-channel memory. Note the K moniker, which specifies this CPU is unlocked for added overclocking pleasure. All three CPUs are expected to fit in the 130W thermal envelope. Intel is not expected to release a new chipset for these parts, relying on the trusted X79 for the time being, although it is not impossible X89 may arrive further down the road. I am wondering if the 4820k, with quad channel memory and the adjustable straps will match haswell on s1150? 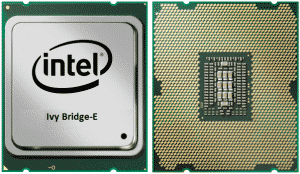 With so many dud haswell retail CPU's will people be happier with IB-e? You don't think IB-e will have any 2d benching advantage over ib on 1155? How about the heat spreader? Will that be soldered and if so, will that help performance at all, or just temps? Who knows... And temps only. I imagine its just like IB though. As far as 3d, in 11 and vantage, sure, otherwise, nope as others dont respond to cores. I guess you would know better than me anyway. Its likely going to be a bit slower... That part is Ivybridge essentially at 4c/4t. I'd imagine the same potential as Ivybridge...for that part, but not certain. That is a good IMC for ib. My 3570k would only do 2400. So does this mean 1150 is a dead socket?